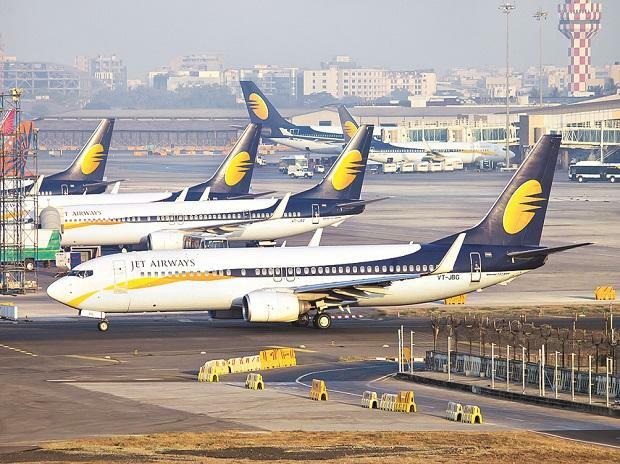 Abu-Dhabi based Etihad Airways, a 24 per cent shareholder in Jet Airways, is evaluating its options to participate in a pre-bid process for the troubled airline as part of a bank-led resolution plan, sources in the know said. 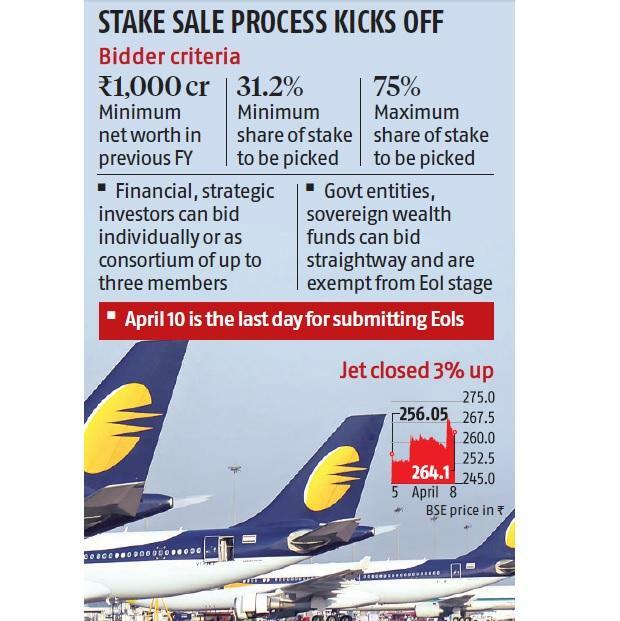 According to the EoI document issued on Monday, an acquirer (of Jet Airways) will have to take at least 35.4 million shares equalling 31.2 per cent stake in the airline. These represent shares pledged by the airline's promoter and former chairman Naresh Goyal, banking sources said. The acquirer can take a maximum of 85.1 million shares equal to 75 per cent control. Etihad, if it decides to submit its interest, could do so as part of a consortium, it is learnt. It had earlier demanded removal of Goyal and exemption from an open offer as its conditions for investment. It did not secure an exemption subsequently. Etihad is learnt to have been in discussion with the SBI and other lenders for releasing its pledge on over 20 Jet aircraft as part of the resolution process. The idea was that Etihad could help in undertaking a sale and lease back of these aircraft to Jet and also infuse cash for running the airline, sources said. But, SBI was reluctant as there’s no precedence for such a deal in India, it is learnt. Etihad said it would not comment on rumour and speculation. NIIF had been approached earlier to infuse money in the airline under the bank-led revival plan. TPG had earlier expressed interest in acquiring Jet's loyalty programme. It declined comment. ALSO READ: Will Jet continue to fly? "New investors would be interested in majority control of the airline. With one third of stake, how can one restructure the airline," an industry observer asked. Under the EoI conditions, both financial and strategic investors can bid for the airline - either individually or as a consortium. The potential bidders have to fulfill a criteria regarding net worth, capital available for deployment, experience in aviation sector and so on. For example, a strategic investor would need to have a minimum networth of Rs 1,000 crore in the previous financial year or funds for investment or assets in India worth Rs 1,000 crore or minimum three years experience in commercial aviation business.